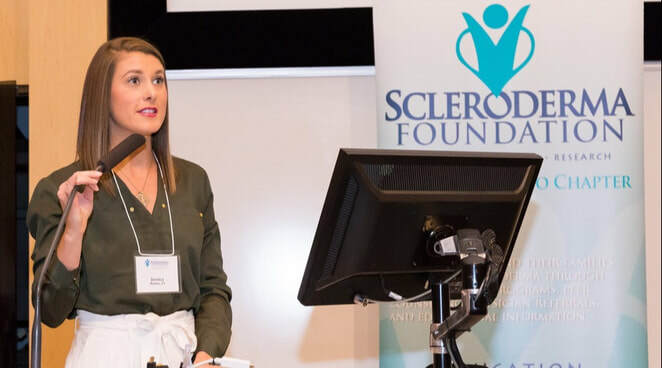 Join other scleroderma patients, doctors and supporters for the knowledge, inspiration and support you need to live better. If you've received a scleroderma diagnosis recently, this small group session can help you learn the scleroderma basics. Meet leading scleroderma specialists and ask questions. Connect with others living with scleroderma. Find proactive solutions to your health concerns.
" This conference is more than just medical information. It's people who know what you're going through. It's 'aha' moments that apply to your daily life. And it's a chance to remember that you CAN take control of your health! "